Well it is cold and frosty here in Ireland, winter is here for sure! Perfect weather though for part four of the Victorian Christmas SAL....and you are over half way there! The final three weeks are smaller because I know how busy we all get in the run up to Christmas. 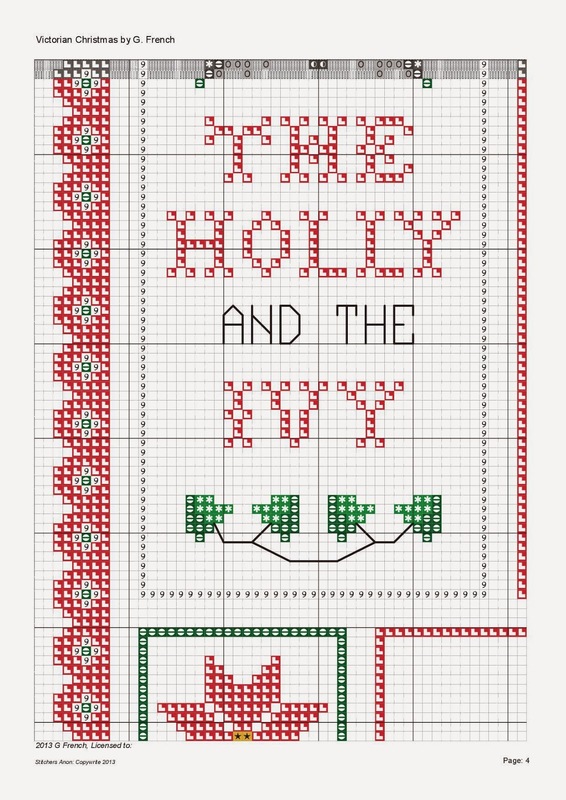 Holly, Ivy and Mistletoe played a huge role in the British Victorian Christmas. A combination of pagan and christianity traditions put together, these plants still play a huge role in our Christmas decorations. A symbol of hope in the dark winter as the holly and ivy remain green and lush, they remind us that Spring as around the corner and the darkness will not remain forever! They were also a relatively cheap way to brighten the home at Christmas and allow the festive season to begin! 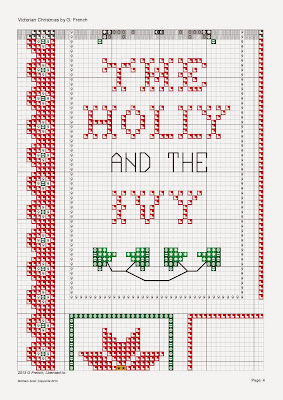 And of course the Holly and the Ivy is a popular Victorian hymn still sang today! It's lovely - might have to save this one up for next year! Simple design, but a very pretty new addition to the SAL :) I can't wait to see it all finished!! You did a great job on this Gaynor, its lovely. This is looking so pretty!